Fight For Your Renter Rights! 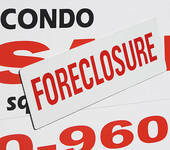 Foreclosure isn’t just affecting homeowners. Renters also become victims when they’ve rented a property they were not aware was either in the foreclosure process or is about to be. Renters on the losing end of foreclosure often end up having to leave with no warning. Fortunately there are laws in place to assist renters, and here are three actions you can take in this situation. What can I do? : When a property owner defaults, the bank either becomes the new owner or can sell the property. Many banks will hire a servicing company to take care of the property, but often renters complain that a servicing company will not take care of maintenance issues. The best thing you can do is persistently submit repair items in writing and at worst case scenario, either negotiate lower rent, take the issue to court, or legally terminate the lease. Who do I pay? According to www.dca.lacounty.gov tenants must continue to pay their monthly rent to their existing landlord until the home is sold. Then payment will be due to the new owner. Just make sure to verify the new owner has a “Deed Upon Sale” document to prove they own the property, or you may get scammed by someone claiming to own your home so they can collect your rent checks and run! When do I move? Tenants in the past were evicted immediately or given a week to vacate the foreclosed property. But thanks to the “Protecting Tenants at Foreclosure Act” (PTFA) proposed back in May 2009, the tenant can stay at least until the end of the lease. Month to month tenants are entitled to 90 days of notice before having to move out. Some lenders offer a “Cash for Keys” program to avoid court costs associated with an eviction process which gives tenants a monetary incentive to vacate. If for any reason you feel you are being wrongly evicted, a lease-holding renter has the right to take their former landlord to small claims court and sue for moving costs and any cost difference between previous rent and new rent for a comparable rental. « Get Your Foreclosure Flu Shot!